This group of Palin fanatics includes by (sic) friend Shane Vander Hart. Shane finds it necessary to try and discredit anything that might be construed as being negative towards the former Alaskan Governor. I admire Shane’s steadfast support and fascination with everything Palin, but his insistence that the recent group of Iowa caucus goers that TheIowaRepublican.com assembled for David Lightman of McClatchy newspapers is some sort of conspiracy against Palin is complete nonsense. I’ve been pretty up front that I’m a supporter, but to call me a fanatic? Gee I love being labeled. As far as finding it necessary to try and discredit anything that might be construed as being negative? Anything? There are tons of stories, polls, speeches, interviews both positive and negative that I could cover, but I don’t. I don’t because I have plenty of other interests as well. The Register poll and TIR were on my turf so I addressed them. Yes I went after Jonathan Martin’s story about “anonymous sources in Iowa” complaining about her visit to Iowa last fall. I did so because it was false. I also have zero tolerance for “anonymous sources” who want to behave like teenage girls leaking gossip to the press. I love backhanded compliment about admiring “my support and fascination with everything Palin.” I give the snark two thumbs up, but I have to confess something to Craig and you my readers. I never watched Dancing With The Stars with Bristol Palin, so I’m not quite sure I’ve earned the fanatic label. But yes if I critique a couple of items in the news in Iowa about Sarah Palin, go ahead and call me a fanatic if it makes you feel better. The Iowa Republican was asked to pull this focus group together for McClatchy Newspapers who happens to own Anchorage Daily News. I’m sure there’s no agenda whatsoever! Because they *certainly didn’t* demonstrate any type of agenda or bias while Governor Palin was in office. While Kevin Hall and Craig Robinson may not have planned to contribute to a narrative, but McClatchy won’t mind running with it. McClatchy has a public record of liberal bias and if you don’t believe there is a larger narrative about Sarah Palin going on in the media, well then you haven’t been paying attention. Here is one such example at McClatchy owned Anchorage Daily News. Do I think Craig Robinson has an agenda? No, and you know what? I also don’t think he is an establishment Republican hack as I have seen some call him. I can even recall coming to his defense. I do agree with Craig on this. 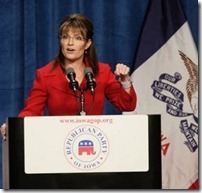 If Sarah Palin is going to run she does need to play in Iowa. I’ve said so on numerous occasions. I also agree that she has a ton of work to do in Iowa if she does run. I also believe that she can’t bypass the press (at least not completely) if she does run. I also think that she has a ton of organizational work to do if she does run. I’m not completely convinced that she is going to run, but I think that she will. While she can’t wait too much longer, I don’t believe that Mike Huckabee and Sarah Palin absolutely need to get into the race before this summer. 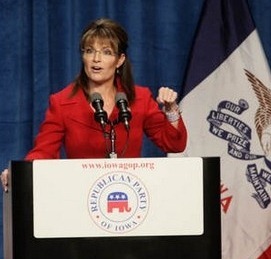 I do believe she (and any other candidate) needs to participate in the Iowa Straw Poll. So while I foresee backing her if she does decide to run (that shouldn’t be a surprise to anyone who is a regular reader here); I believe the road to winning the nomination will be very difficult with a crowded field. I just don’t buy the meme that she’ll be the end of the party or that she is unelectable. She hasn’t even started campaigning yet. The voters will decide and if she runs and wins the nomination I believe she’ll have just as good of a shot as anyone of beating President Obama. It’ll be difficult, but if we are really looking at $5.00/gallon gas and if unemployment is still high in 2012 he’s vulnerable regardless who runs against him. But hey, don’t listen to me because I’m just a Palin fanatic. Shane Vander Hart is the founder and editor-in-chief of the Caffeinated Communications Network (Caffeinated Thoughts, Caffeinated Theology and Caffeinated TV). He keeps his eye on the 2012 Presidential Race from his home near Des Moines, IA where they are already starting to trip over candidates. Feel free to friend him on Facebook or follow him on Twitter. 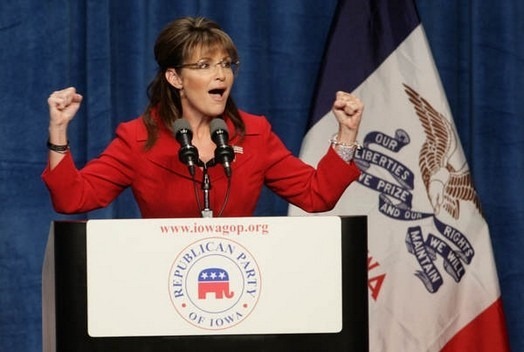 Former Governor Sarah Palin hasn’t even decided to run. We haven’t even have had one vote cast, and we already have some writing the narrative that she is unelectable. 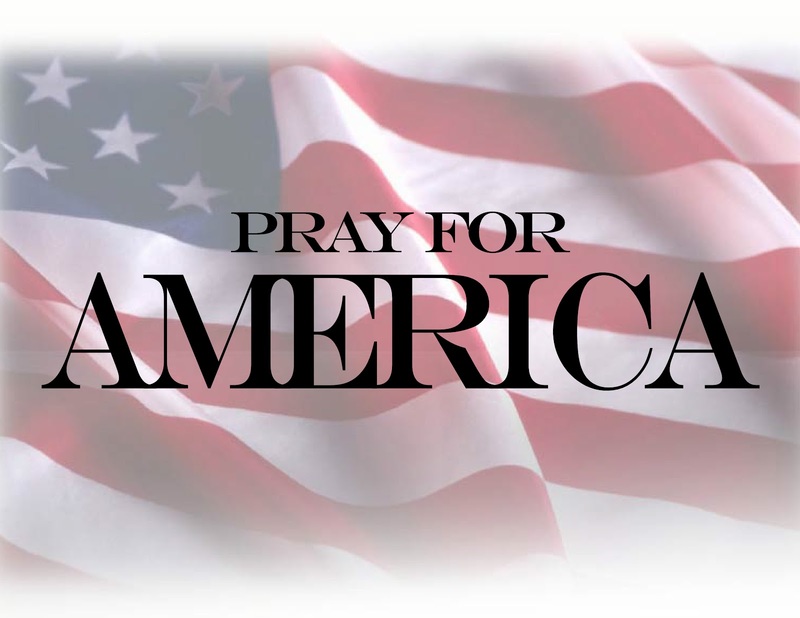 This isn’t anything new for Governor Palin or for presidential politics for that matter. We have seen a journalist spin a poll, and now we have a focus group. Oh the dreaded focus group, they are such worthwhile sources of information. Say I convened a sample group of six people – one farmer, one lawyer, one college student, one factory worker, one auto mechanic, and one doctor. There were three guys and three girls. They each liked different brands of pop (or soda if you are a friend from the south). One liked Mountain Dew, one liked Dr. Pepper, one liked Sprite, another liked Sunkist, one liked Pepsi and yet another liked Coke because “it’s the real thing” and she really would like to buy the world a Coke. They were unanimous in their belief that Mr. Pibb tasted like carbonated prune juice. Does that mean that a majority of people believe that Mr. Pibb tastes like carbonated prune juice? No (I actually think it does, but I digress). Is it newsworthy? Hardly – it is just six people! 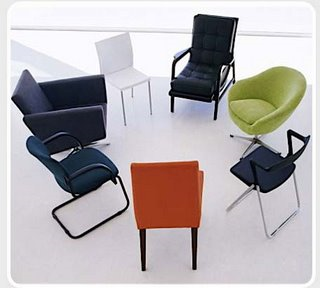 My hypothetical focus group is just as worthless as this focus group on the Iowa Caucus is. You might have an interesting discussion, but do you really have worthwhile information? Time will tell. The only thing it tells me is that six people whom The Iowa Republican selected (I have no criteria on how they made their selection or who is considered an “activist”) say she is unelectable. Well I do know they said they were conservative activists and then they identify Connie Schmett as one of the members of the group. While I wouldn’t consider Connie and Kim Schmett flaming liberals I’m not sure conservative is the right word. Republican certainly, conservative… well Kim Schmett didn’t strike me as particularly conservative when he ran for Congress in 2008. The couple since haven’t done much to change my opinion. Connie Schmett is an excellent fundraiser though. The group also said that Mitt Romney is in trouble because of RomneyCare. I happen to agree with this, but again it proves nothing. It is the opinion of the six people in the room, some of whom may have never liked Palin (or Romney) anyway. The Iowa Republican was asked to pull this focus group together for McClatchy Newspapers who happens to own Anchorage Daily News. I’m sure there’s no agenda whatsoever! Because they *certainly didn’t* demonstrate any type of agenda or bias while Governor Palin was in office. While Kevin Hall and Craig Robinson may not have planned to contribute to a narrative, but McClatchy won’t mind running with it.